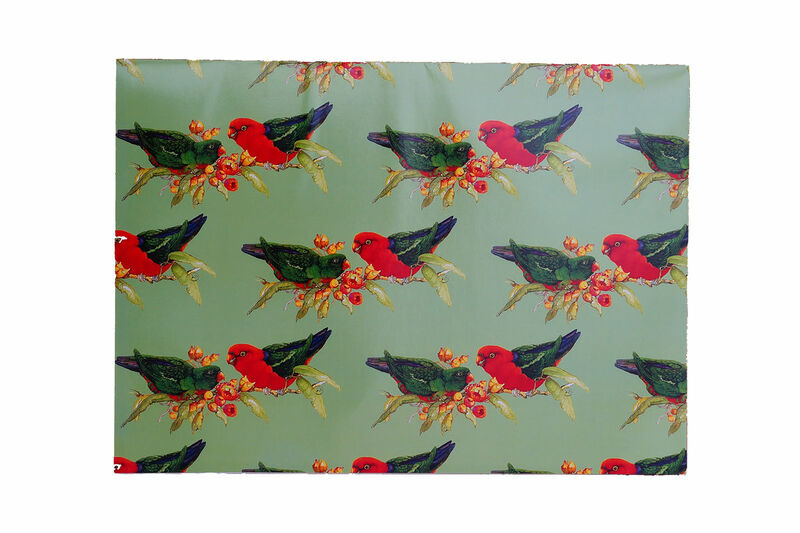 This beautiful gift wrapping paper features the stunning King Parrot, designed by the very talented Australian Artist, Lynn Naismith. King Parrots are found along the east coast and the ranges of Australia, from Queensland to Victoria. Male King Parrots are the only Australian parrot with a completely red head – this makes them easy to find and identify in the thick forests they are found in.